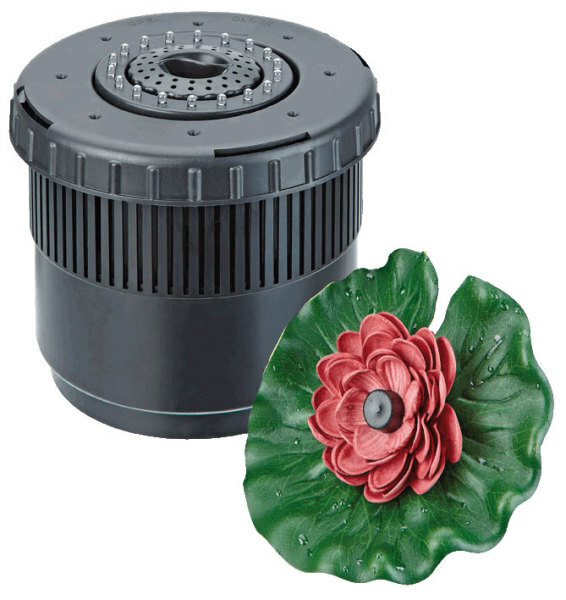 The OxyAir is a compact and submersible pond aeration set. The floating lily pulls in air from the surface, which is then distributed from the submersed unit at the base of the pond. The bubbles float to the surface and diffuse oxygen into the water as they rise. 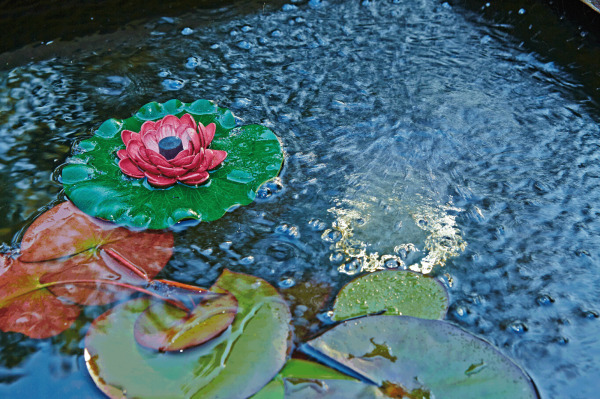 The integrated neutral LEDs illuminate the rising bubbles, creating a pleasant glow through the bubbling water. The OxyAir contains foams for housing beneficial bio-organisms, which aid in breaking down excess pond waste and keep the pond clearer. This combined with the aerating properties of the OxyAir makes it a compact and effective method of improving the water quality of small ponds. Great for oxygenating the water for fish stock or helping to prevent ice formation in cold weather. Ideal for ponds up to 10,000 Litres or 5,000 Litres with fish stock.